Jillian Lauren makes it clear in the opening paragraph that Pretty is ex-pretty girl Bebe Baker’s story. A few sentences later, “Not that I’m some kind of genius but I’m not dull enough to think I lost even when the other guy sunk the eight ball,” you know Bebe’s in-your-face voice is one of the novel’s strengths. Bebe isn’t just ex-pretty, she is ex-everything: ex-stripper, ex-born again Christian, ex-drug addict. Her road to self-destruction takes a detour when she and Aaron are in a horrific car crash after a night of excessive alcohol and drug use. Aaron dies, and Bebe is left with a web of scars on her hands and legs from crawling through shattered glass at the scene. Theoretically, it’s those scars that make her ex- pretty, but it’s the deeper scars that leave her questioning and doubting her life’s value. A year and a half after the accident, her choice to live in a halfway house is part self-imposed penance and part shelter from the real world. 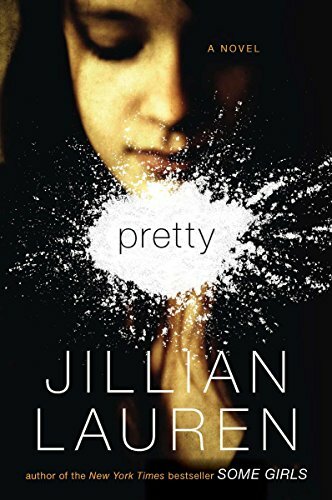 She struggles to stay clean and sober while attending beauty school with a cast of vulnerable and peculiar characters that comprise her makeshift family. Ms. Lauren’s talent for choosing just the right character detail gives each of them their own eccentricity and story. When the novel opens, Bebe has completed 528 hours of beauty school and has 72 to go. The beauty school hour’s countdown marks time and more importantly creates a sense of urgency about what’s at stake as Bebe makes some infuriating choices in the days before graduation. At times Bebe is maddening, but in Ms. Lauren’s skilled hands, she never stops being heart-wrenchingly sympathetic.